General terms and conditions for supply of goods, services and digital content to both business and consumer customers. What these terms cover. These are the terms and conditions on which we supply products to you. These products could be goods (including printed materials), services (including design services, events, exhibition space and organisational services) or digital content (including apps, images, software and text of any form). Why you should read them. Please read these terms carefully before you submit your order to us. These terms tell you who we are, how we will provide products to you, how you and we may change or end the contract, what to do if there is a problem and other important information. If you think that there is a mistake in these terms please contact us to discuss. If you are a business customer this is our entire agreement with you. If you are a business customer these terms and any specific terms recorded in your booking/order from or confirmation issued by us constitute the entire agreement between us in relation to our agreement. You acknowledge that you have not relied on any statement, promise, representation, assurance or warranty made or given by or on behalf of us which is not set out in these terms or which specifically incorporates these termsand that you shall have no claim for innocent or negligent misrepresentation or negligent misstatement based on any statement in this agreement. Who we are.  We are BWR Media Limited a company registered in England and Wales. Our company registration number is 08964460 and our registered office is at Bank House, Bank Street, Tonbridge, Kent, TN9 1BL. How to contact us. You can contact us by telephoning us on 01732 642755, by email at contact@bwrmedia.co.uk or by writing to us at Goblands Farm Business Centre, Hadlow, Kent, TN11 0LT. How we will accept your order. Our acceptance of your order will take place when we email or write to you to accept it, at which point a contract will come into existence between you and us. If we cannot accept your order. If we are unable to accept your order, we will inform you of this and will not charge you for the services. Services may vary slightly from descriptions. The images and descriptions of the services and products on our website or other written material supplied by us are for illustrative purposes only. Your obligations to us. You will ensure that the advice and instructions given by us in relation to health and safety and safe use of pesticides are adhered to. to implement minor technical adjustments and improvements. Delivery costs. The costs of delivery will be displayed to you on or website. If the products are goods. If the products are goods we will deliver them to you as soon as reasonably possible and in any event within 30 days after the day on which we accept your order unless we contact you with a delivery date. If the product is a one-off purchase of digital content. We will make the digital content available for download by you as soon as possible after we accept your order. In the case of ongoing services or subscription to receive goods or digital content. We will supply the services, goods or digital content to you until either the services are completed or you end the contract as described in clause 7 or we end the contract by written notice to you as described in clause 9. We are not responsible for delays outside our control. 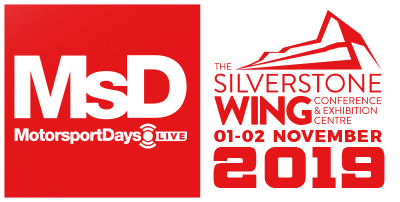 If our supply of the services is delayed by an event outside our control then we will contact you as soon as possible to let you know and we will take steps to minimise the effect of the delay. Provided we do this we will not be liable for delays caused by the event, but if there is a risk of substantial delay you may contact us to end the contract and receive a refund for any products you have paid for but not received. When you become responsible for goods. Goods will be your responsibility from the time we deliver them and you will own those goods once you have paid for them in full. What will happen if you do not give required information to us. We may need certain information from you so that we can supply products to you, for example, specifications for any bespoke goods, services or digital content. If you do not give us this information within a reasonable time of us asking for it, or if you give us incomplete or incorrect information, we may either end the contract (and clause 2 will apply) or make an additional charge of a reasonable sum to compensate us for any extra work that is required as a result. We will not be responsible for supplying the products late or not supplying any part of them if this is caused by you not giving us the information we need within a reasonable time of us asking for it. make changes to the services as requested by you or notified by us to you (see clause 5). Your rights if we suspend the supply. We will contact you in advance to tell you we will be suspending supply of the product, unless the problem is urgent or an emergency. If we have to suspend the supply of product for longer than one week we will adjust the price so that you do not pay for product while they are suspended. You may contact us to end the contract if we suspend it, or tell you we are going to suspend it, in each case for a period of more than four weeks and we will refund any sums you have paid in advance for period after you end the contract. We may also suspend supply of products if you do not pay. If you do not pay us for the products when you are supposed to (see clause 3) and you still do not make payment within seven days of us reminding you that payment is due, we may suspend supply of the products until you have paid us the outstanding amounts. We will contact you to tell you we are suspending supply. We will not suspend the supply where you reasonably dispute an unpaid invoice (see clause 12.6). We will not charge you for the products during the period for which they are suspended. As well as suspending the products we can also charge you interest on your overdue payments (see clause 12.5). In all other cases (if we are not at fault and you are not a consumer exercising your right to change your mind), see clause 6. Exercising your right to change your mind if you are a consumer (Consumer Contracts Regulations 2013). If you are a consumer then for most products bought over the telephone or online you have a legal right to change your mind within 14 days and receive a refund. These rights, under the Consumer Contracts Regulations 2013, are explained in more detail in these terms. When consumers do not have a right to change their minds. Your right as a consumer to change your mind does not apply in respect of services once these have been completed even if the cancellation period is still running. How long do consumers have to change their minds? If you are a consumer you have 14 days after the day we email you to confirm we accept your order. However, in the case of services, once we have completed the services you cannot change your mind, even if the period is still running. If you cancel after we have started the services, you must pay us for the services provided up until the time you tell us that you have changed your mind. Ending a contract where we are not at fault and there is no right to change your mind. Even if we are not at fault and you are not a consumer who has a right to change their mind (see clause 1), you can still end the contract before (but not after) we complete our obligations to you. A contract for goods or digital content is completed when the product is delivered or downloaded. A contract for services is completed when we have finished providing the services. If you want to end the contract where we are not at fault and you have not changed your mind, just contact us to let us know. If the contract is for one off services, you must give us at least one month’s notice to end the contract. If the contract is for ongoing services, then unless we agree otherwise in writing the contract will be for a minimum period of twelve months and can be brought to an end at any time after that initial twelve month period by giving us no less than three month’s notice. Phone or email. Call customer services or email us at the contact details provided above. Please provide your name, home address, details of the order and, where available, your phone number and email address. By post. Print off the form on our website and post it to us at the address on the form. Or simply write to us at that address, including details of what you bought, when you ordered or received it and your name and address. Returning products after ending the contract. If you end the contract for any reason after products have been dispatched to you or you have received them, you must return them to us. You must either return the goods in person to where you bought them, post them back to us at the address specified above. If you are exercising your right to change your mind you must send off the goods within 14 days of telling us you wish to end the contract. How we will refund you. If you are entitled to a refund under these terms we will refund you by the method you used for payment. However, we may make deductions from the price of an amount for the supply of the product for the period for which it was supplied, ending with the time when you told us you had changed your mind. The amount will be in proportion to what has been supplied, in comparison with the full coverage of the contract. you do not, within a reasonable time, allow us to deliver the products or collect them from us provide access to your premises to supply the services. If you are a business customer we warrant that our products will be of satisfactory quality and services shall be carried out with reasonably skill and care. we shall, at our option, re-supply the products or provide a refund. Except as provided in this clause 11, we shall have no liability to you in respect of a breach of the the warranty set out in clause 1. Where to find the price. The price you will pay (which, unless specified otherwise, includes VAT) will be the price indicated on the website or given to you on the telephone or in writing. We take all reasonable care to ensure that the price is correct. However please see clause 3 for what happens if we discover an error in the price of the services you order. We will pass on changes in the rate of VAT. If the rate of VAT changes between your order date and the date we supply the services, we will adjust the rate of VAT that you pay, unless you have already paid in full before the change in the rate of VAT takes effect. What happens if we got the price wrong. It is always possible that, despite our best efforts, some of our literature, website or other information may be incorrectly priced. We will normally check prices before accepting your order so that, where the correct price at your order date is less than our stated price at your order date, we will charge the lower amount. If the correct price at your order date is higher than the price stated to you, we will contact you for your instructions before we accept your order. When you must pay and how you must pay. We accept payment with debit or credit cards and by direct debit of standing order. For contracts for the supply of one off services you must make payment in full in advance. For contracts for ongoing services, you must, unless agreed otherwise, make payment quarterly in advance. We will invoice you once the liability to make payment arises and you must pay each invoice within seven calendar days after the date of the invoice. We can charge interest if you pay late. If you do not make any payment to us by the due date we may charge interest to you on the overdue amount at the rate of 4% a year above the base rate of the bank of England from time to time. This interest shall accrue on a daily basis from the due date until the date of actual payment of the overdue amount, whether before or after judgment. You must pay us interest together with any overdue amount. We reserve the right to charge statutory interest (if higher) for business customers. We do not exclude or limit in any way our liability to you where it would be unlawful to do so. This includes liability for death or personal injury caused by our negligence or the negligence of our employees, agents or subcontractors; for fraud or fraudulent misrepresentation; for breach of your legal rights in relation to the products as summarised at clause 1. We are not liable for business losses. If you are a consumer we only supply the services to you for domestic and private use. If you use the products for any commercial, business or re-sale purpose our liability to you will be limited as set out in clause 14. Except to the extent expressly stated in clause 1 all terms implied by sections 13 to 15 of the Sale of Goods Act 1979 and sections 3 to 5 of the Supply of Goods and Services Act 1982 are excluded. our total liability to you for all other losses arising under or in connection with any contract between us, whether in contract, tort (including negligence), breach of statutory duty, or otherwise, shall be limited to £25,000 (twenty five thousand pounds). Nobody else has any rights under this. This contract is between you and us. No other person shall have any rights to enforce any of its terms. Which laws apply to this contract. These terms are governed by English law and you can bring legal proceedings in respect of the products in the English courts.